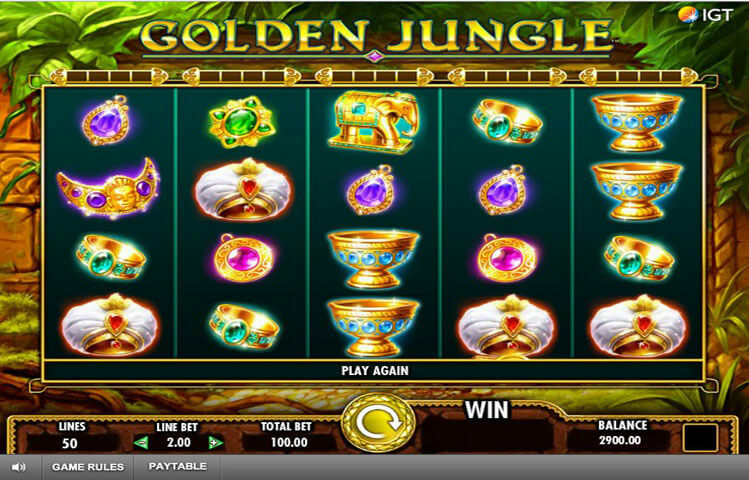 International Game Technology has released this brand new game recently, Golden Jungle. This game takes players on a wild and a lucrative gaming experience that takes them to the Indian golden jungle. There, players will be able to enjoy a one of a kind gaming adventure while getting the chance to claim their share of the golden fortunes and treasures that they can find in the jungle. The game can be tried here for free, so the online players can check out what the new game has to offer them, prior to them placing real wagers on the game. IGT is always known for its unique games that offer players unforgettable experiences. This is applicable on this new game by the developer, Golden Jungle. This new game takes players on a wild ride that they will never get enough off. The experience is presented in wonderful visuals and comes with great sound effects that will immerse players into the theme of the game. The game also has easy to understand and use options. This makes it a user friendly game that all players can enjoy, whether they are veteran players or novice players who never spun a set of reels before. The settings under the reels include the spin button, the betting options, the auto play, the total bet and Game Rules. There is also the paytable button through which players will see the different payouts that the game has to offer, as well as the special features. The game, by IGT, takes players to the Golden Jungle of India. In this jungle, lives a mysterious Tiger that can give players plenty of rewards. The jungle is full of golden fortunes and treasures that players will be able to claim throughout their stay. The game has a 5 reeled format that are home to a total of 50 wager lines. The visuals of the game depict the theme of the game to a big extent, which provides players with an immersive experience. This is why players will see that the 5 reels are located in the golden jungle. As for the symbols that will be appearing across the reels of the slot, they include the tiger, the golden archway, golden treasure chests, a golden dagger, and other golden icons and fortunes. Since the game is developed by IGT, players can expect a great set of special features that they can take advantage of during the game play. This begins with the wild symbol, which comes in the shape of the tiger. This tiger can replace all other icons, to help players get the highest payout. It is also the highest paying symbol. It cannot replace the golden archway and the golden Buddha symbol. The Golden Archway is the scatter icon that can trigger free games.